Produktinformationen "The Three Investigators and the Secret of the Crooked Cat"
Every true “The Three Investigators”-Fan dreams about following the adventures of Jupiter, Pete and Bob in the original American edition. 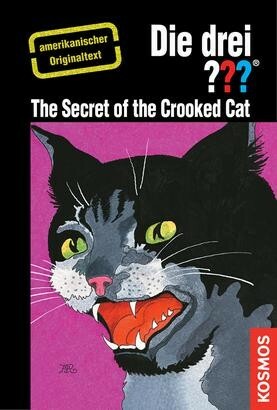 “The Three Investigators and the Secret of the Crooked Cat”, finally available for your reading device! The carnival’s in town! But for The Three Investigators, it’s not just fun and games. A thief runs off with a carnival prize – an oddly shaped stuffed cat. The boys suspect the cat holds a clue to a much more valuable prize- one worth thousands of dollars! Jupiter, Pete and Bob rush in eagerly to catch the crook – only to find the carnival loaded with dangerous traps!